There are a few areas of France that are capable of holding our attention, not only repeatedly and for extended periods of time. 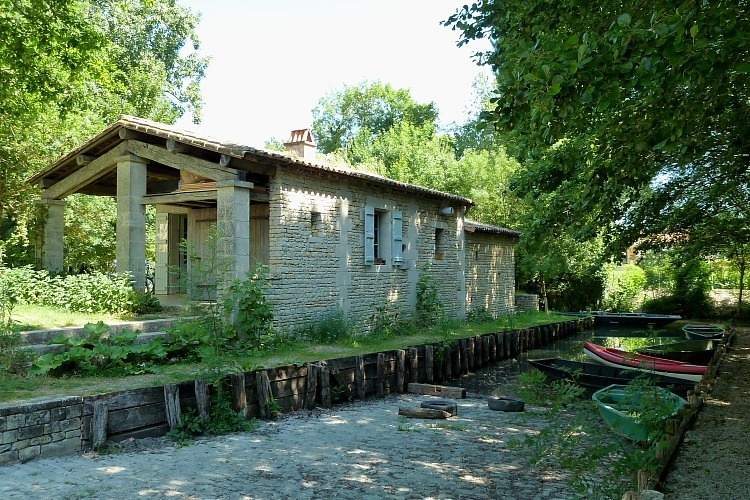 The Marais Poitevin is certainly one of those areas. Our interest began many years ago when we simply enjoyed exploring on our bicycles the many cycle routes which have been planned and marked. Being a drained marsh, the area is almost ironing-board flat and you can pedal more or less all day without undue effort taking in the sights, sounds and smells of the countryside. Our car gets a rest from dragging Guillaume around and we take to our bikes. For those keen on nature, the area is especially interesting. The canals flow through very unspoilt, wooded countryside forming a haven for wild birds. With a bit of luck, Purple Herons can be seen trying to find food along the canals and the woodlands are alive with the combined lyrical sounds of Nightingales and Golden Orioles, though you’ll be lucky to catch of glimpse of either of these shy, retiring characters, especially as a casual observer. Both their songs are almost reward enough, though. Naturally, the flower meadows between some of the canals (the land isn’t all farmed all the time) make a great habitat for butterflies, of which I’ve long been a fan, and last year – yes, we were here last year as well – the canals and river provided me with a wonderful source of interest as a newcomer to dragonfly spotting. 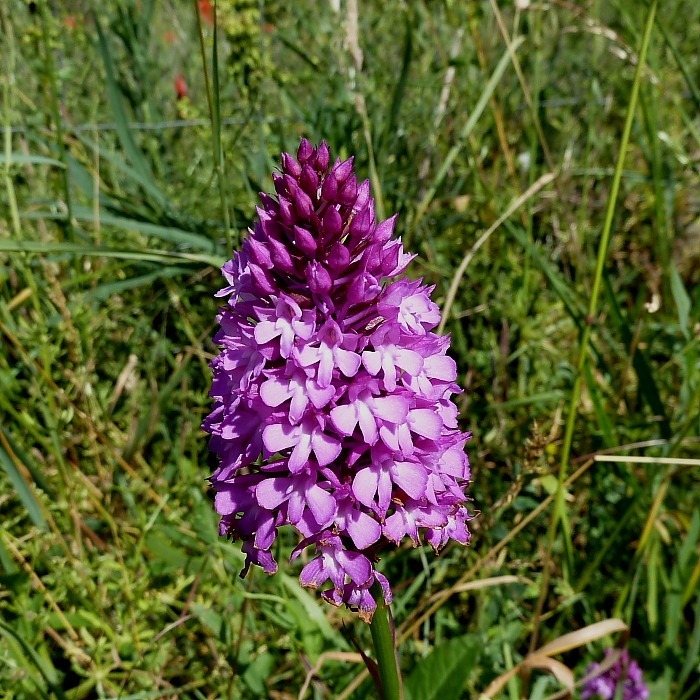 Last year also, Francine noticed that several of the pistes cyclables [bicycle tracks] had orchids nestling amongst their grass verges. Now armed with her super new(ish) macro lens and a tripod, she’s hoping to get some good orchid shots for her flower catalogue. We are a week earlier than last year but the season is more advanced as a result of exceptional early spring weather, so she may be lucky. 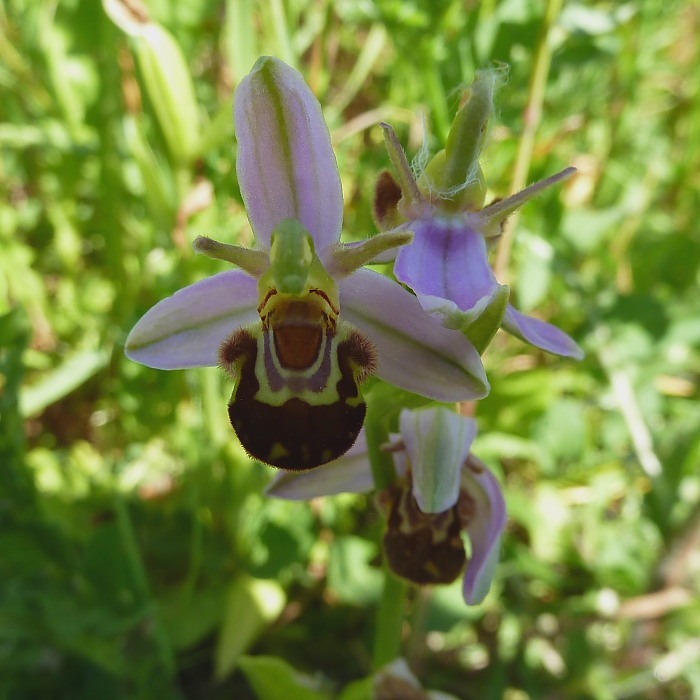 To check out the state of play, we went out on a scouting mission armed only with a pocket camera and old Hawk-eyes did spot several Pyramid Orchids and a Bee Orchid which it seemed foolish not to snap. The Pyramid turned out OK but the Bee will need some work and much better lighting.